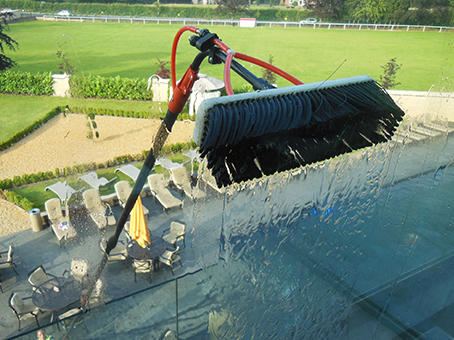 Commercial and Domestic Window Cleaning in Exeter. We clean a wide range of commercial buildings that include, high street shops, office blocks, car showrooms and even hospitals. The desire for high quality cleaning services that fit within strict budgetary constraints is one we can appreciate. That’s why PureWash Cleaning Contractors use working methods designed to provide consistent and exceptional quality with outstanding value. Keeping your place of business looking good for existing and potential customers, must be a high priority. We have many years’ experience using conventional and traditional window cleaning methods. We can keep your premises looking great with minimal disturbance for you and your employees. Essentially, you may not know we’ve been there until you notice the gleam as you leave or re-enter the building. We are Safe Contractor accredited. Window cleaning today is now so much more than just someone with a bucket up a ladder - it is a Health and Safety conscious industry. 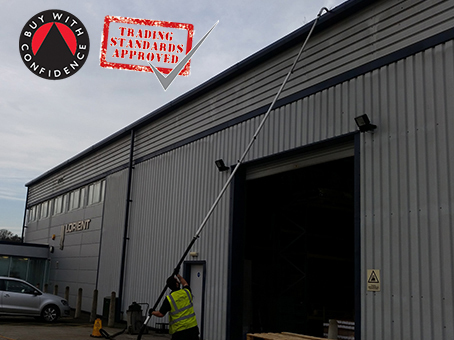 We are compliant with strict height regulations, as well as being City and Guilds trained and Safe Contractor accredited. For more of our safety information please visit our Health and Safety page. Maybe you already have a window cleaner in place and don't want the hassle of changing. We understand, you're a busy person and need to prioritise. If you are encouraged at the thought of receiving a professional, consistent and reliable window cleaning service, then call 01392 409119 or use our Enquiry Form. Are you looking for a reliable domestic window cleaner? 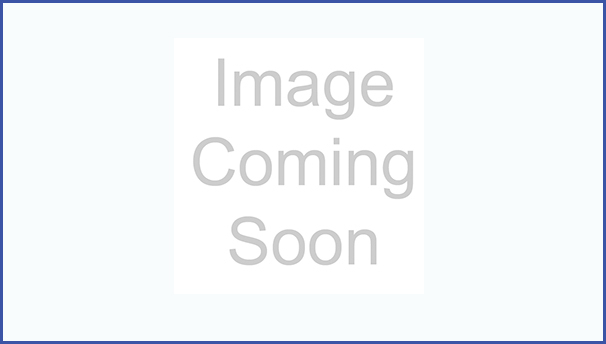 Do you want cleaning operatives with experience and expertise? Please don't waste your time and money on uninsured and unreliable tradesmen. PureWash Cleaning Contractors wants you to make a decision that you will not regret. We are organised and customer driven, so you can expect a year-round service with no interruptions. 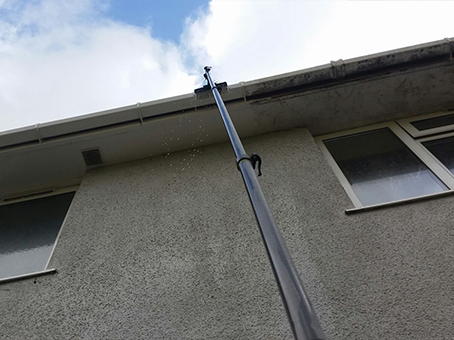 We provide a regular window cleaning service to Exeter and surrounding areas. We have a big regular round and we believe that all of our customers deserve a sound, reliable service. We have a growing client base for residential window cleaning across Exeter and surrounding areas. If you are encouraged at the thought of receiving a professional, consistent and reliable window cleaning service, then call us on 01392 409119 or use our Enquiry Form and we'll get back to you swiftly. Please visit our FAQ page if you have any unanswered questions.